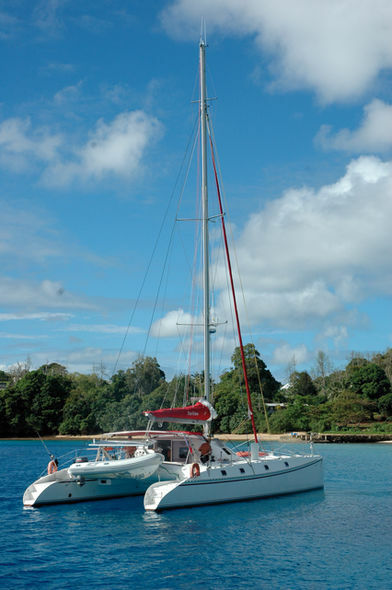 Multihulls World readers love to sail far and wide on their catamarans ot trimarans to discover the world. The story of the owner of Rose Noire is particularly interesting. 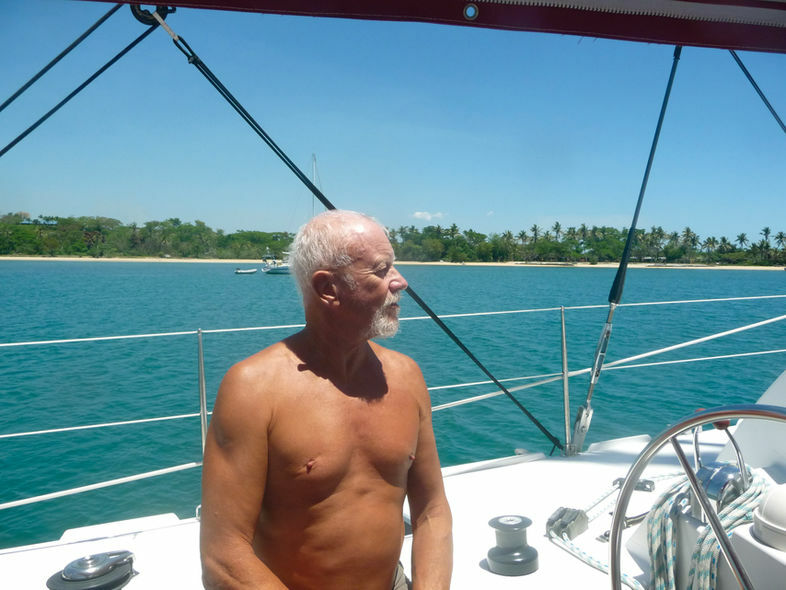 A highly experienced sailor, he has chosen an unusual route, and here he shares with us much of his advice for preparing a blue-water cruising catamaran. With more than 71,000 miles on the log, he has some pretty wise advice. Corneille wrote “that for souls nobly born, valor doesn’t await the passing of years”, and the voyages of Jean-François Raymond brilliantly demonstrate that age has nothing to with ambition and that you need to look elsewhere for motivation… or alibis. Aged 65, the owner of Rose Noire gave in to an irrepressible desire to go cruising under sail. Two Atlantic circuits, then a trip round the Pacific took his Outremer 55 Light from the Mediterranean to Polynesia and then on to Alaska. Partly carried out in the company of the cruising family on board the Freydis 46-50 Grainedo, this amazing 3rd voyage, after two Atlantic circuits offers a neat alternative to the traditional circumnavigation. Jean-François, who has enjoyed some great voyages. The story of this third voyage is one of a 42,000 mile trip led with passion, wisdom and skill… in short: effectively! Jean-François ordered his boat in April of 2005, and Outremer delivered his 55 Light one year later. From May through July 2006, the happy owner completed fitting out the interior, and then had a shakedown sail for a couple of weeks in August to check everything was working properly. September and October saw the finishing touches, and then he set off for an Atlantic circuit via the Canaries, the West indies, Bahamas and Azores, returning to Sète in the South of France on June 18th 2007. One year later, Jean-François set off from Sète again for another Atlantic tour of the same duration. This was followed by much cruising in the Mediterranean between Corsica, Sardinia, Tunisia and the Balearics… In total from 2006 to 2011, Rose Noire covered 28,605 nautical miles. Voyages which have taken Rose Noire to tropical anchorages. Why go round the world?